Virtual Vision recently created a website for Patriot Buildings. The new website is responsive to fit any size computer, tablet or smart phone. 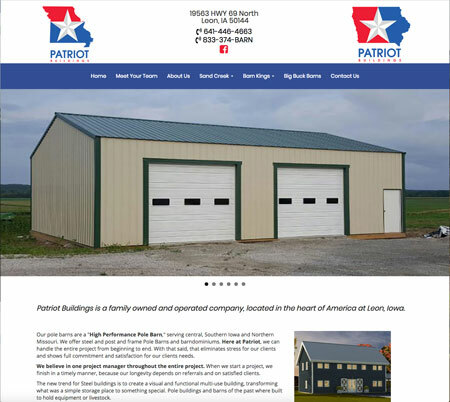 Patriot Buildings is located in Leon, IA. Click Here, to view the website.